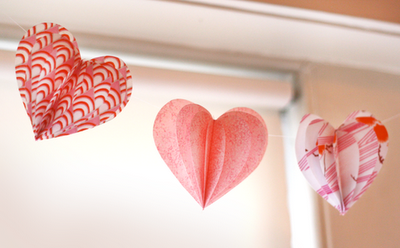 I love these heart garlands that I found on “How About Orange“! 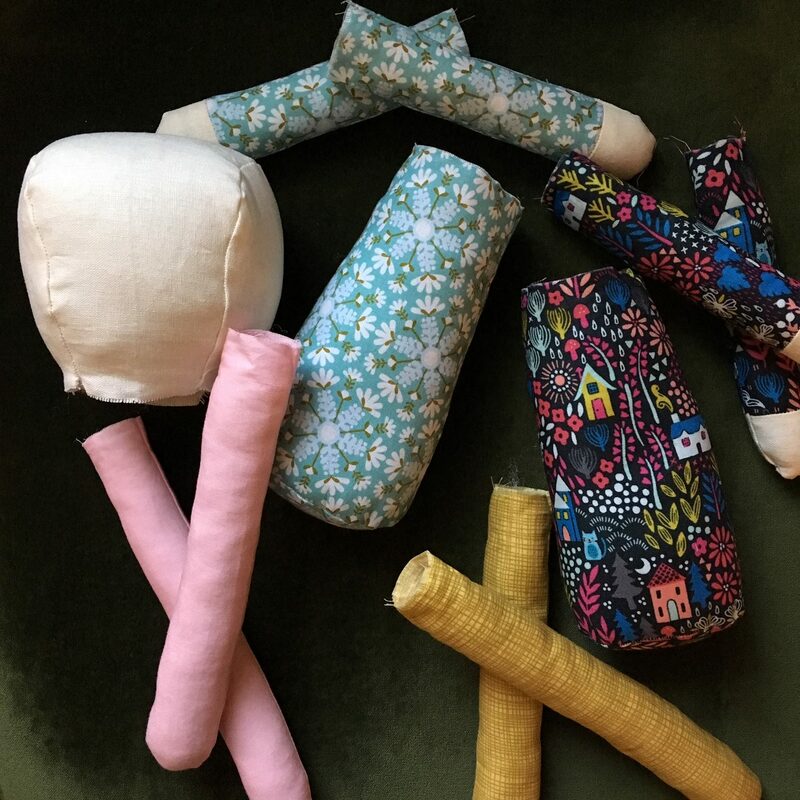 They are a great way to use up fabric scraps, an easy sewing project for a beginner and a simple yet effective way to create something beautiful for your home. 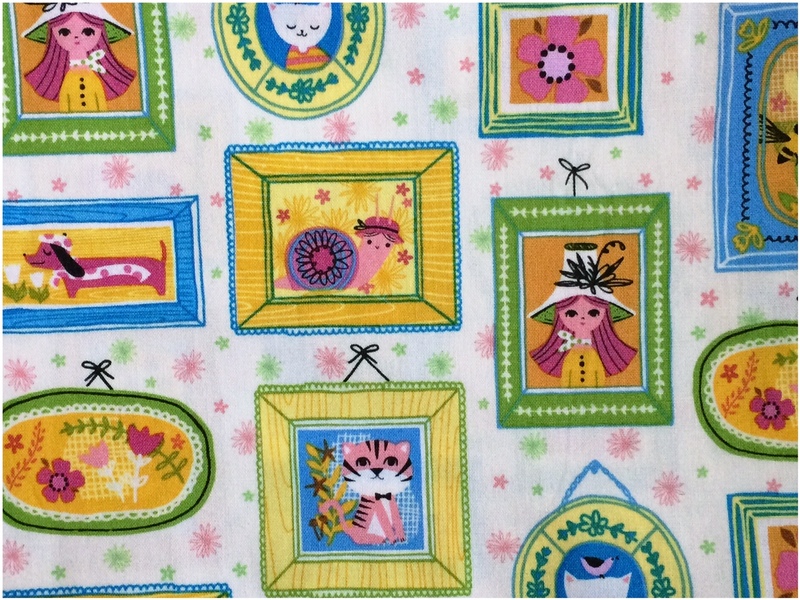 A fabric stiffener is used to keep these hearts a fluttering. 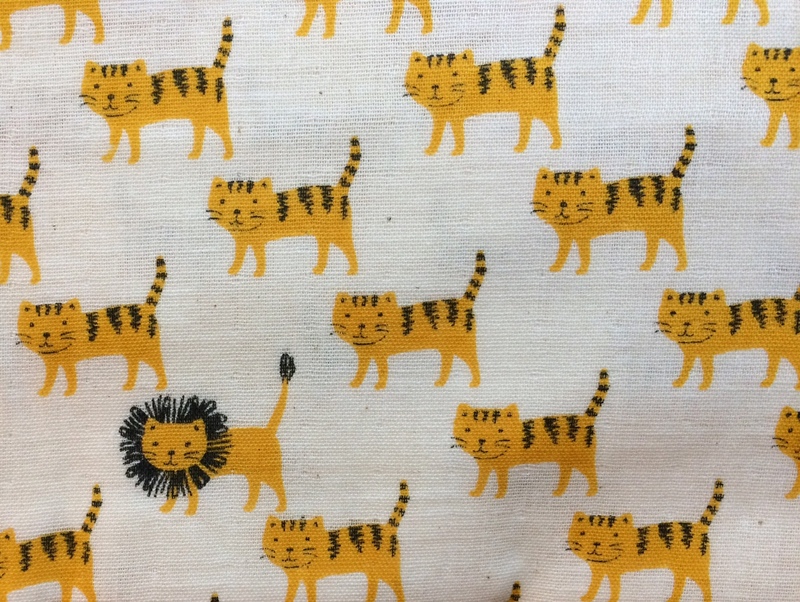 I looked in my local fabric store this weekend for a fabric stiffener, but they were out. I thought about trying starch but considering I live in a very damp little part of the world, I don’t think that is such a good idea. For the How-To go here. This entry was posted in Crafting and tagged craft, fabric, fun, homespun, project, sewing, valentine's day on February 9, 2011 by jennifermichie. 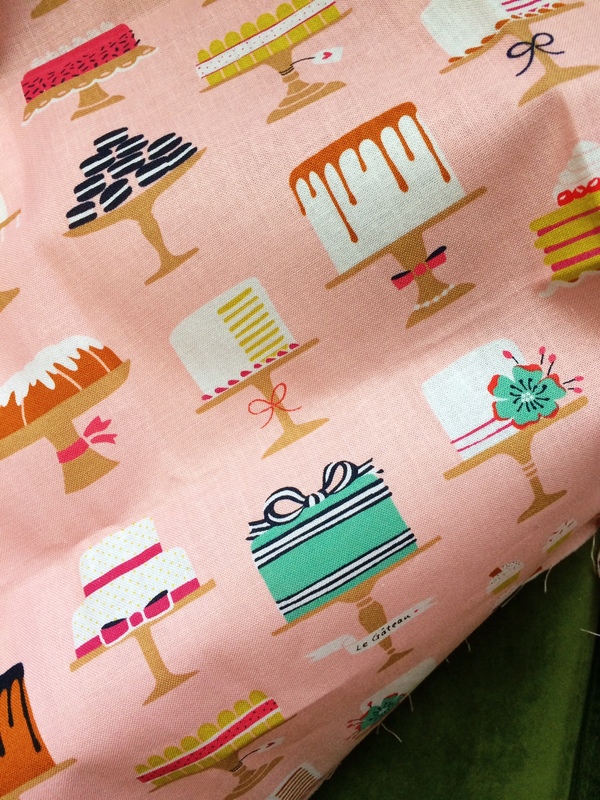 Just working on a few sewing projects today, what will some of this fabric become? The possibilities are endless, but I have something particular in mind. 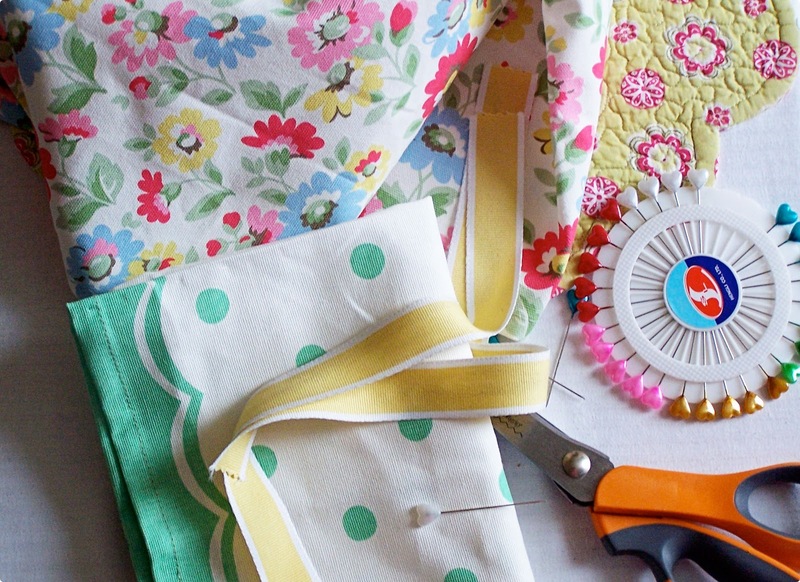 I think I will use the Cath Kidston Pairie fabric for this project, I can’t seem to get enough of those happy flowers lately. What will it be? You’ll just have to wait and see…. 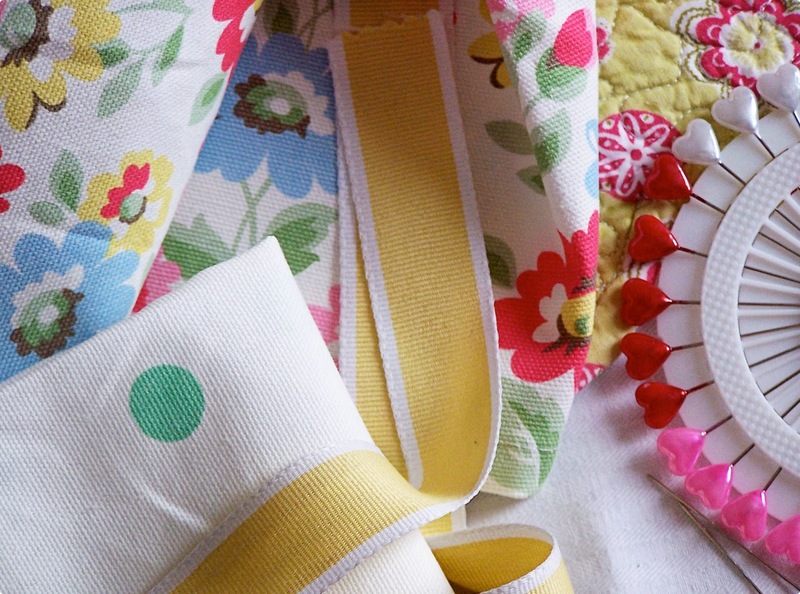 This entry was posted in Crafting and tagged cath kidston, fabric, project, sewing, w.i.p. on March 19, 2010 by jennifermichie. St. Patrick’s Day is tomorrow and in case you need to make some last minute St. Patty’s Day crafts these sweet boutonnieres are on the Martha Stewart website. They are absolutely adorable and would work well as something cute on your lapel to take you through Spring. You could even add a little ladybug on a leaf for extra luck, if you can find one tiny enough. 1. On waxed paper, use a paintbrush to coat both sides of a cotton swatch with liquid starch. Let it dry. Iron the fabric to flatten it. 2. Photocopy shamrock templates to desired sizes. Cut them out, and trace them on fabric; then cut out fabric shamrocks. Crease each leaf in half lengthwise. 3. 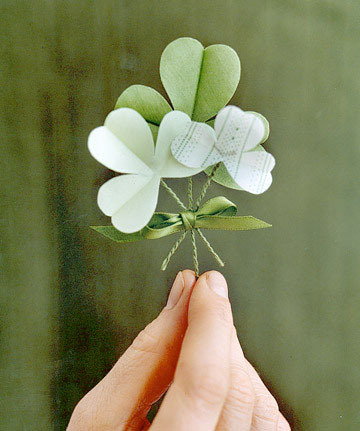 To make a stem, cut a 4-inch piece of floral wire; fold it in half, and twist it until the ends form a tiny V. Bend the V forward slightly and attach it to the back of each shamrock with a small dab of craft glue. Tie a bow around one stem or a bunch of shamrocks. 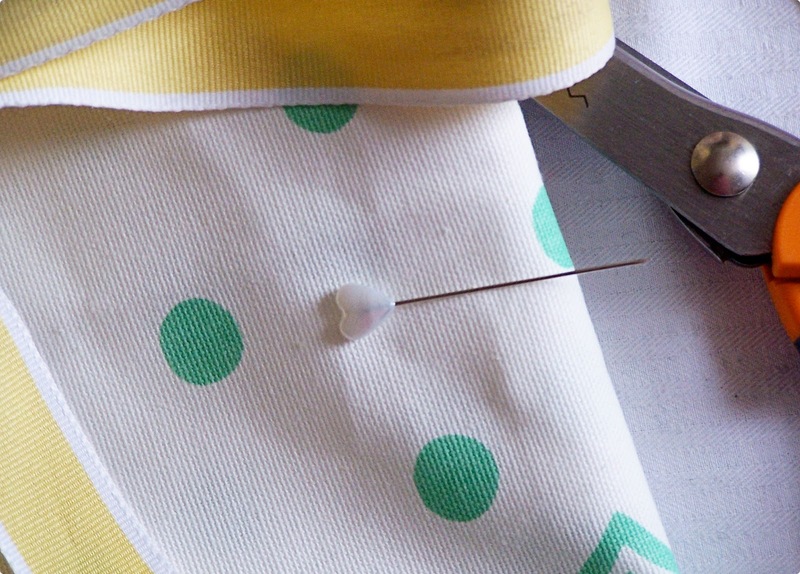 Use a corsage pin to fasten to your clothing. Click here to get the full set of directions from the Martha Stewart website. This entry was posted in The Holidays and tagged craft, creative, fabric, martha stewart, project, spring, st. patrick's day, tutorial on March 16, 2010 by jennifermichie. 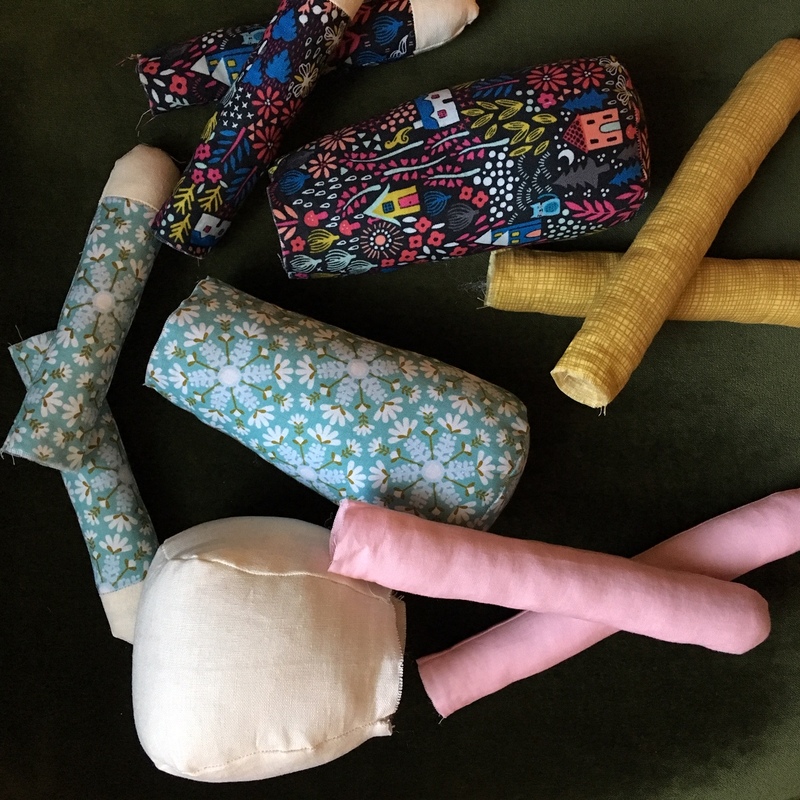 Well, with a sharp rap at the door, my felt arrived this morning and this weekend I was busy gathering ribbons, jingle bells, fabric scraps and making my plan of attack to get everything done on time. I still have one more roll of ribbon to order for my gingerbread men wreaths. They are in the oven as I write and the house is filled with the scent of spicy cinnamon, it is wonderful. I have Christmas music playing in my kitchen, because you can only create true gingerbread wreaths with the sounds of the season going through your head as you roll and cut and lay out. I will hopefully be cutting my bears out today and working on a mitten pattern for a garland so I will busy, busy, busy. I have so much to get done and not a lot of time, but I work well under pressure and I love a challenge. 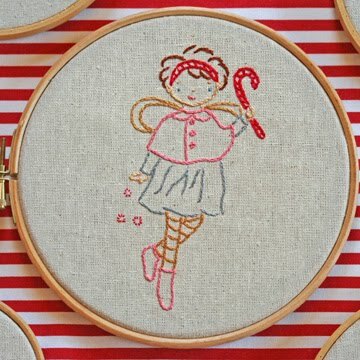 Well, my timer has just beeped to let me know that another batch of wreaths are ready to come out of the oven, so I am twirling off to gingerbread men, Christmas music, and visions of sugarplum fairies dancing in my head…this little peppermint fairy just really puts me in a jolly Christmassy mood, doesn’t she make you happy too? This entry was posted in Life and tagged christmas, christmas fair, cozy, craft, creative, fabric, fair, fete, wee wonderfuls on October 12, 2009 by jennifermichie. The days seem to be ticking by faster than I want them to, as I still feel like I have so much left to do for the Fair. This year is going to be very exciting, it sounds like there will be a very good crowd of people coming and an even more diverse range of stalls. One of the projects I have been busy working away on involves making yo-yos. I was never a fan of them before but after seeing them in a magazine, they somehow began to grow on me. Now, I seem to notice them everywhere. The possibilities of what you can make with them are endless. My mind has been buzzing non-stop with ideas which led to the creation of one of my main Fair projects; a collaborative concept formulated by my Mom and I. I had so many notions, some of which have come into being however some will just have to wait until the Christmas Fair. Knowing that November seems forever away until the Christmas Fair, when we will all be together again, but this time, in the coziness of an inviting house, with a crackling fire, Christmas trees adorning every free space and a coming together of friends old and new to have fun and raise money for a worthwhile charity along the way. Like the March girls we gather, shaking the snow off our boots and heading for the kitchen, where a kettle is always boiling on top of the Aga. We gather to share ideas, celebrate each others company, love and cozy warmth. This entry was posted in Life and tagged christmas fair, cozy, craft, creative, fabric, fair, little women, project, sewing, summer fair, yo-yos on May 27, 2009 by jennifermichie.